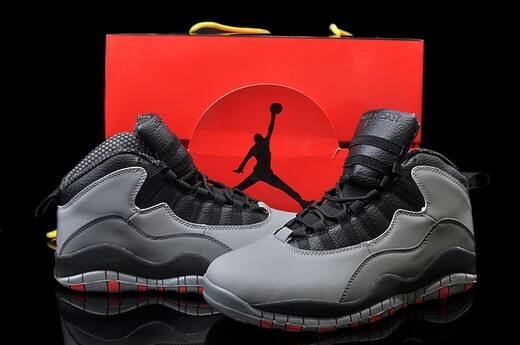 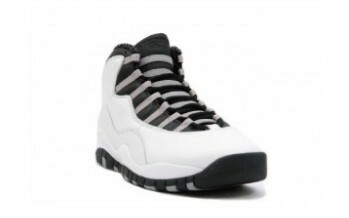 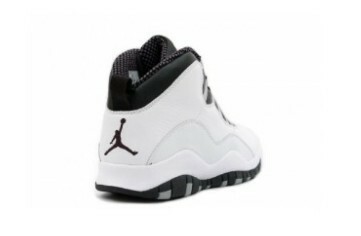 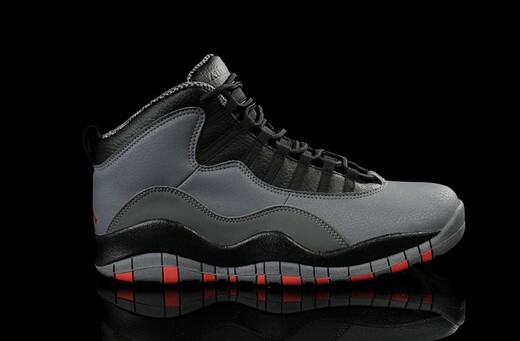 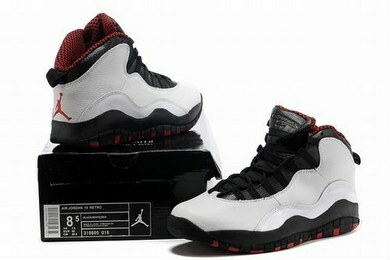 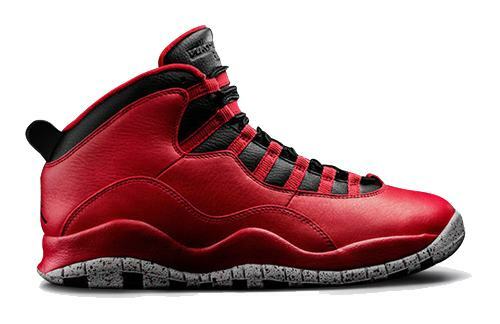 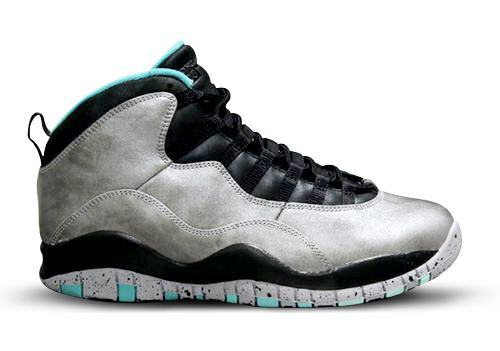 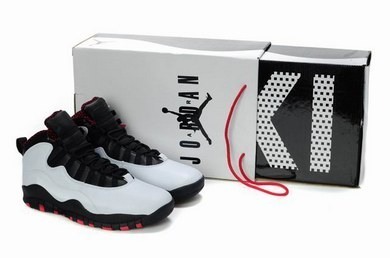 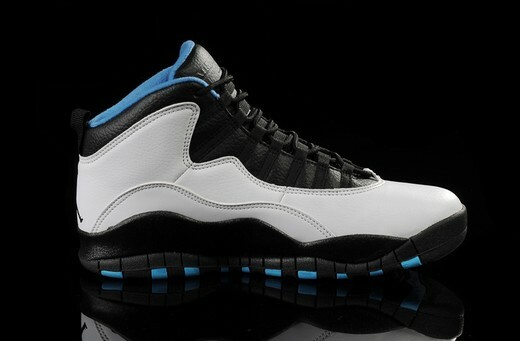 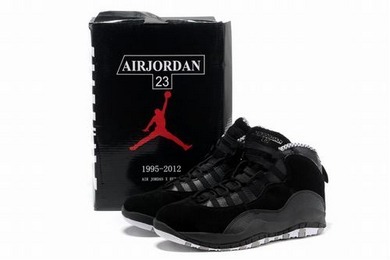 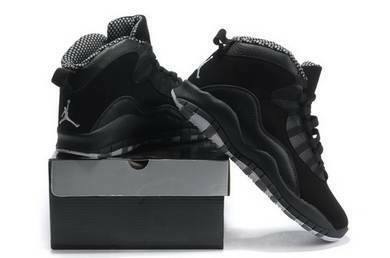 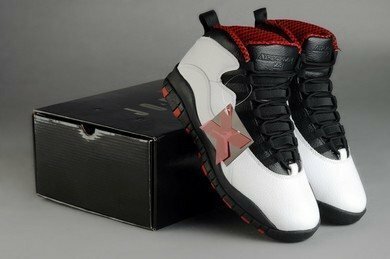 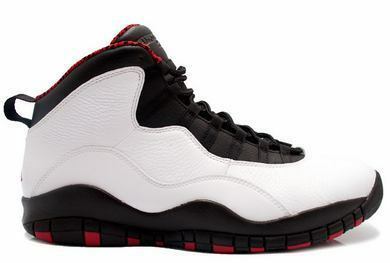 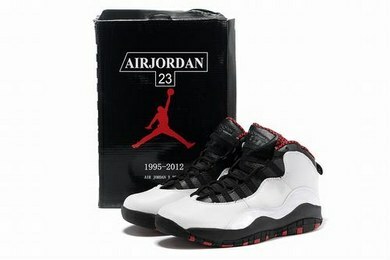 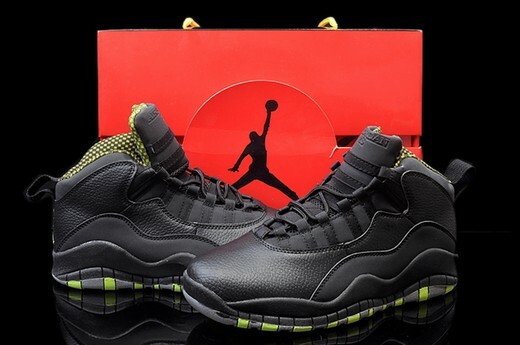 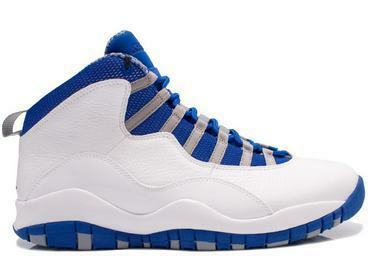 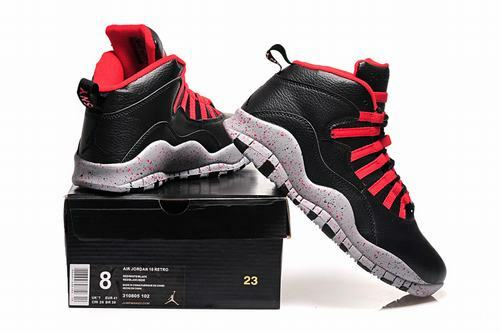 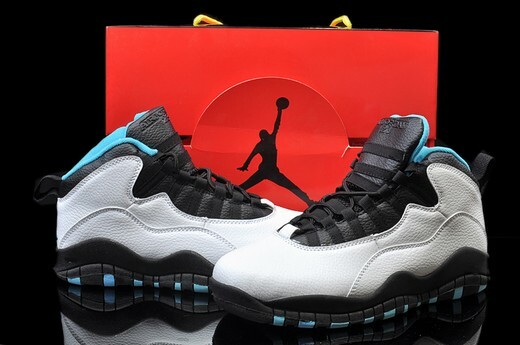 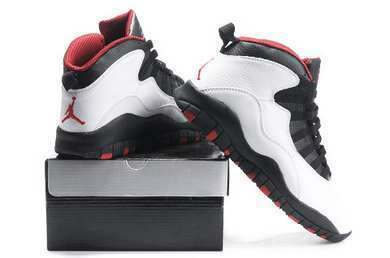 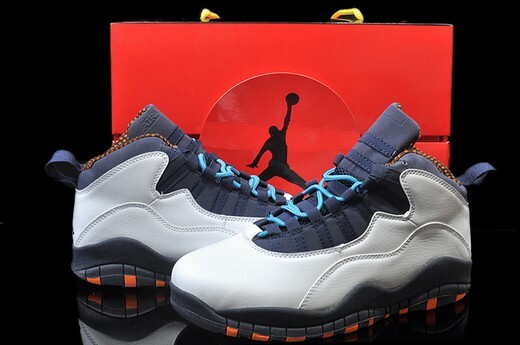 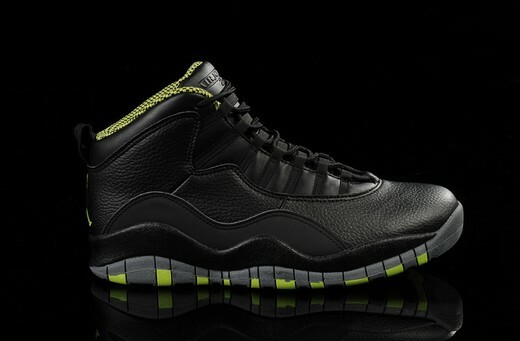 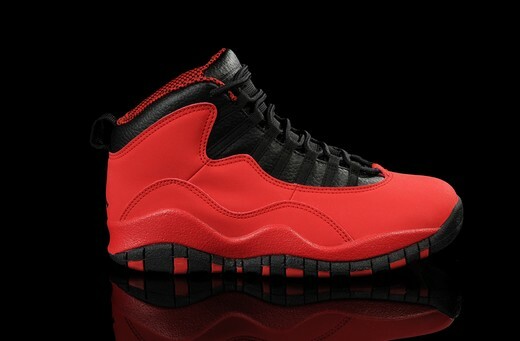 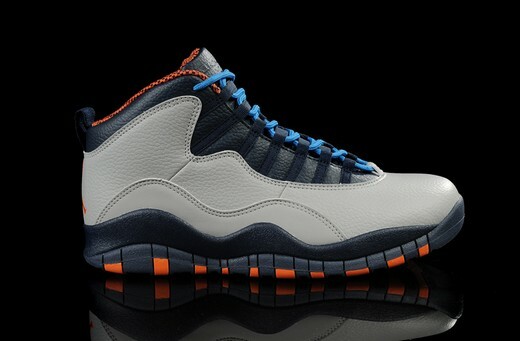 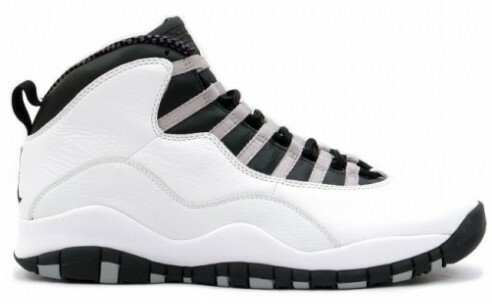 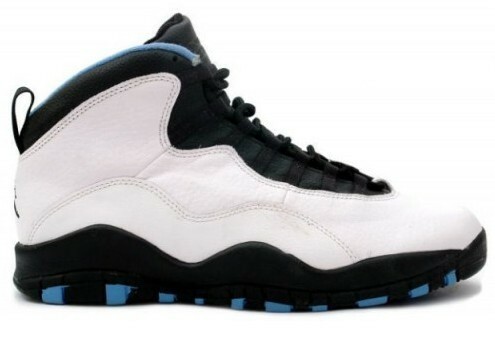 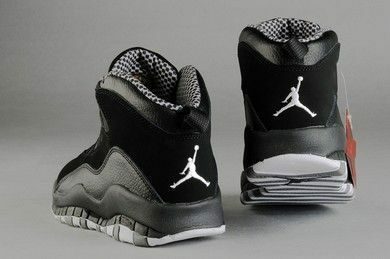 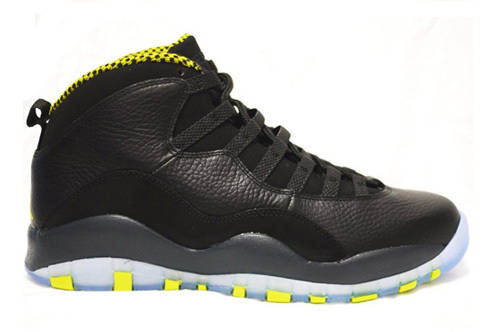 The Air Jordan Retro 10 (X) Steel ( White / Black / Light Steel Grey ) were released on May 7, 2005. 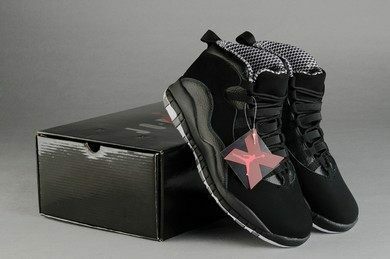 They feature a white leather upper, surrounded by black, as well as grey accents, including the lacing area, and outsole, which really draw attention to the shoe. 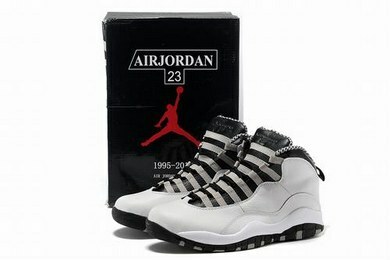 The original colorway featured an extra piece of material on the toe, but Michael did not like it, and had it removed.? 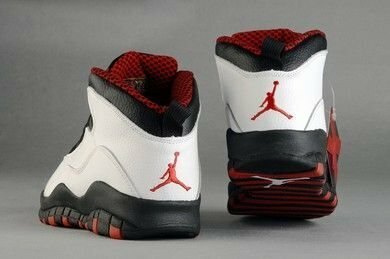 The outsole features a black and grey striped design which lists many of Michael’s accomplishments, as well as a red Jumpman logo.